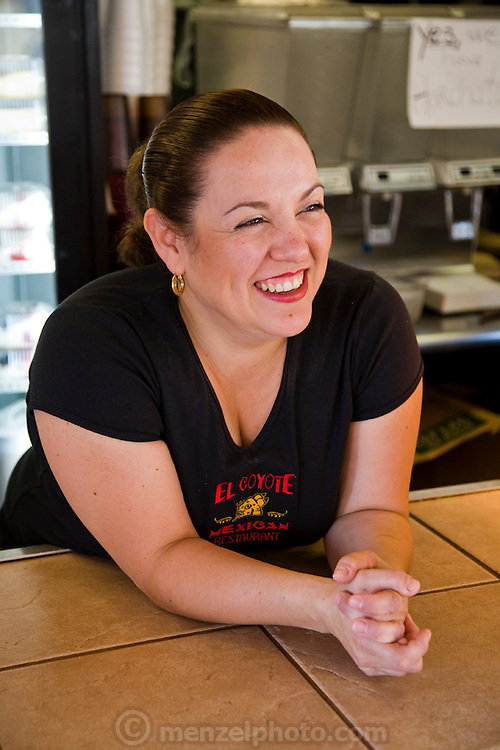 Lourdes Alvarez, a restaurant owner, at her Mexican restaurant El Coyote in the suburb of Alsip, Chicago Illinois. (Lourdes Alvarez is featured in the book What I Eat; Around the World in 80 Diets.) MODEL RELEASED.